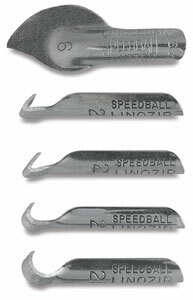 Made for Speedball handles only, these safe "pull-type" cutters are made of fine-quality steel with a sharp cutting edge. The set has a handle and 4 linozips, styles 21, 22, 23, and 25. The set also includes a Speedball style 6 knife cutter. 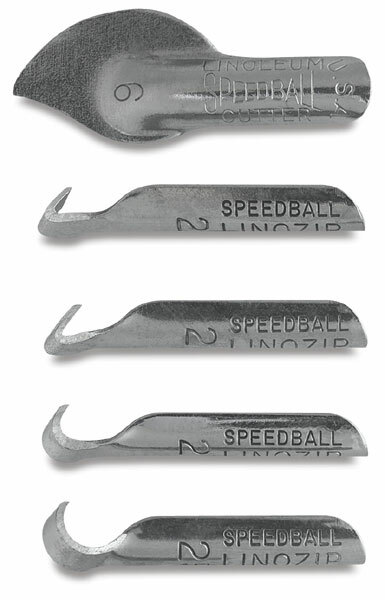 Note — These Speedball Linozips are designed for right-handed users.